Chantal Gagnon, OTTIAQ certified translator, has been an associate professor at Université de Montréal since 2011. There, she teaches business and economic translation. From 2005 to 2011, she has worked at Concordia University, where she was teaching translation and coordinating translation internships programs. This scholar’s research deals with relationships between translation and questions of politics. In recent years, she has especially studied translation of political speeches in Canada. In fact, her PhD studies at Aston University in the UK dealt with this particular issue. For instance, Dr. Gagnon has showed that in certain contexts, the translation of the word ‘Canada’ has ideological repercussions, in that the translation reveals different values from one language to the next. 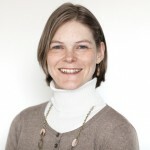 Since 2014, Chantal Gagnon has conducted research on ideologies in the financial press, with her colleague Pier-Pascale Boulanger from Concordia University. These scholars explore themes such as transparency and symbolic violence in the Canadian financial press. With their research team, they have launched a blog on translation and finance, the Observatoire du discours financier en traduction.